The Shot Heard Round the World — Really? 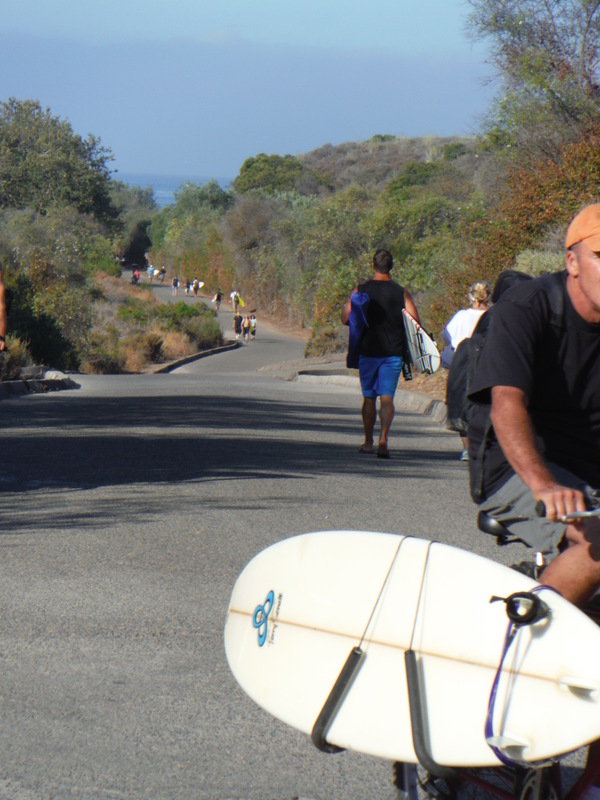 Could this be anger among the Trestles Surf Crowd? In actuality, Mark (blue board) just finished flying around, underneath Norris (green board) as Norris shoulder hopped him. Norris geeked out. As he fell, trying not to let his board hit Mark and add insult to injury, Norris tried to fly his board away into the offshore wind so it would pop out the back. Mark, in his gracious manner, was quick to say he shouldn’t have surprised Norris. But, it would have been a better, safer wave if he had it to himself. Thanks to Mark for the kindness. Kind of fun to ponder other stories it could have been — but not. See you in the water. Stay safe! 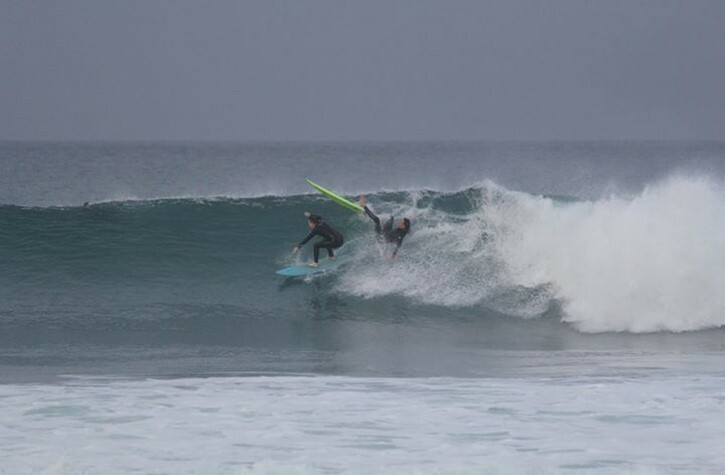 Welcome to all who want to surf Upper Trestles! But, let’s get something straight — there are some rules. Contrary to the opinions, or perceptions, of some guests (and I use the term loosely), Uppers is not some sort of free for all where you just paddle into any wave any time you want. On a related issue, because Uppers can be one of the most crowded spots on the planet in the summertime, it may seem to some that there is no order to the crowd. On the contrary, it is only because of the strong order in the water that everyone is usually able to get waves to themselves, even on the most crowded days. All this to set up my social comment. This morning, I watched as some infrequent guests showed up late, about 7:00 am, and immediately started snaking anyone and everyone. Yes, including me. When I paddled back out, I heard a couple of them congratulate each other on their endeavors. It went something like this. Sure, we all occasionally shoulder hop someone, usually by accident, or because we didn’t try as hard as we should have to look way up the line. But, we at least need to be somewhat remorseful, and owe the other guy a wave or waves they can bank for later. If you want to come to Uppers, keep that in mind. A simple “Oh, sorry about that” goes a long way and helps keep order in the water. It also keeps us all a little safer. Visiting surfers need to realize that there is order in the water. If it seems otherwise, it is because you are probably just projecting your own chaotic, reckless demeanor on The Crowd. So, take a few minutes to be perceptive about the order and integrate yourself into it. You will have a lot more fun in the long run. And, you may just make some new friends in The Crowd.